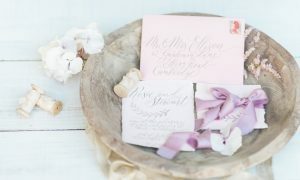 I had an email from Sarah the other day – she’d been to one of my calligraphy workshops and kept her nib – but within a few months it had begun to rust. She asked me for advice: is there a best way to keep calligraphy nibs, to prevent rusting? Now I go through nibs pretty fast – usually three or four Nikko Gs in a week. (They’re my fave nib of the moment, and suitable for almost everything I write!) 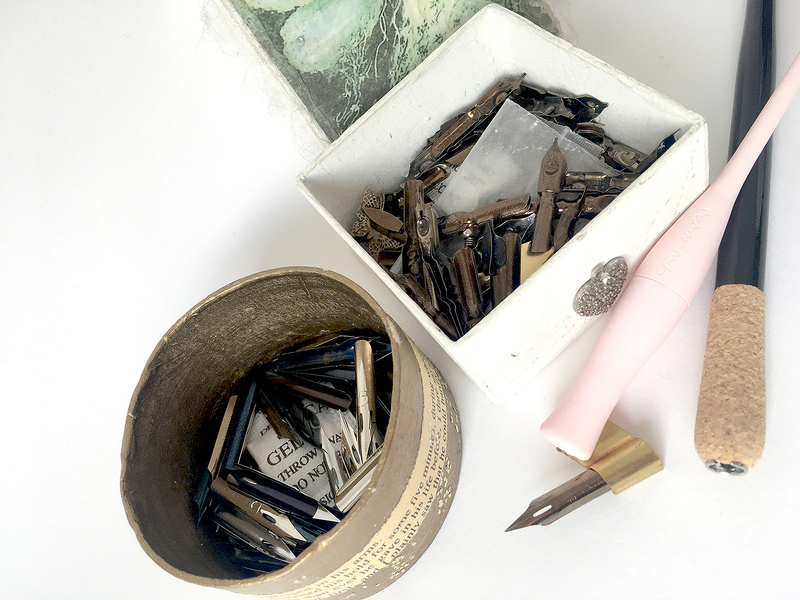 But I do have a few little collections of older nibs, which have on occasion gone a little rusty… so I needed to find out tips for keeping nibs clean as much as Sarah did! We’re all guilty of throwing down a nib at the end of a practice session, perhaps giving it a quick dab on a cloth, and leaving it for a while. A dry nib is a happy nib. That’s basically it. Rust on calligraphy nibs is caused by moisture. (Obvious from science class at school, and also unanimously agreed on the internet. )DRY YOUR NIBS really really really really well – and they should be fine! The one thing they all have in common is the little sachet of silica gel inside. That baby keeps nibs super dry, even when they’re stored for a long long time. So I have wondered about this in the past. And the more I think about it, the more it makes sense. If you’re going to store a nib for a long time, and want it to last, dry it really thoroughly then oil it. The same applies to calligraphy nibs! (says the internet) – and remember the potato trick? New nibs come with a lacquer / oil coating to stop them rusting? Potato starch somehow (magic) gets rid of the oil and lets the ink flow? Maybe, just maybe, oiling your nib before long term storage will prevent any rust. I’d never heard this, but apparently “rust begets rust”. (How old can that saying be? Do folks still say ‘begets’?!) Anyway – it seems to be true. Keep a happy nib next to a rusty one, and it will go rusty. So keep them apart! Cleaning rust off your nibs before it’s too late! There are two kinds of rust: surface rust, and ‘red rust’. Nibs are so tiny it can’t be easy to tell the difference, but if your nib is fairly new and has a spot of rust on it, it might just be salvageable. Get an old toothbrush and a pinch of bicarbonate of soda, and rub gently (with a drop of water). Surface rust will clean away, and your nib might be ok to use. vintage nibs with rust could be dangerous – if the metal has corroded all the way through, the nib could snap. Don’t risk trying to write with an old nib if it’s had years to rust away: the risk to your beautiful eyes isn’t worth it! 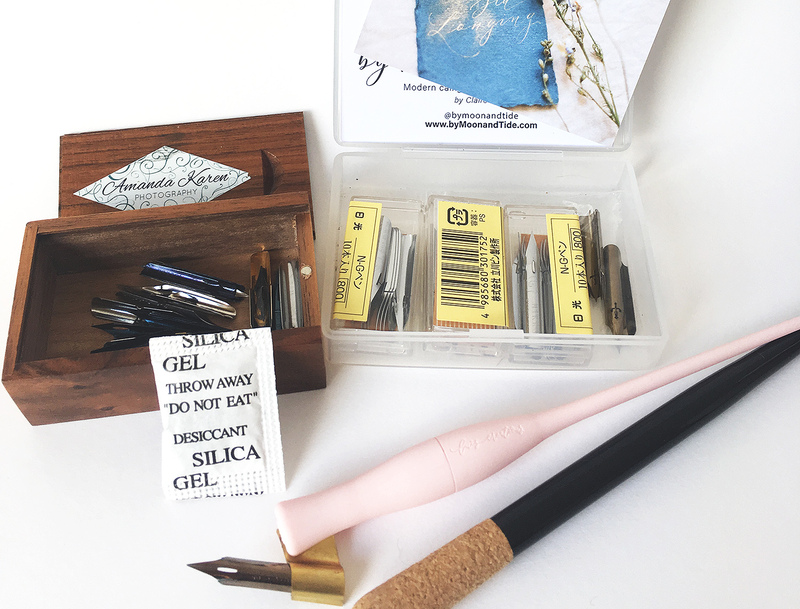 I’m not a tidy person by any means, but calligraphy nibs live happily in the cutest little containers, so they’re easy to store. Also, if you ever stand on one you’ll remember it for life. So mine go in boxes so I know they’re not on the carpet under my desk. Lesson learnt. I have various little containers, and I use separate ones for broad-edged nibs (for italics and gothic lettering etc.) – these are the nibs I don’t use so often nowadays. 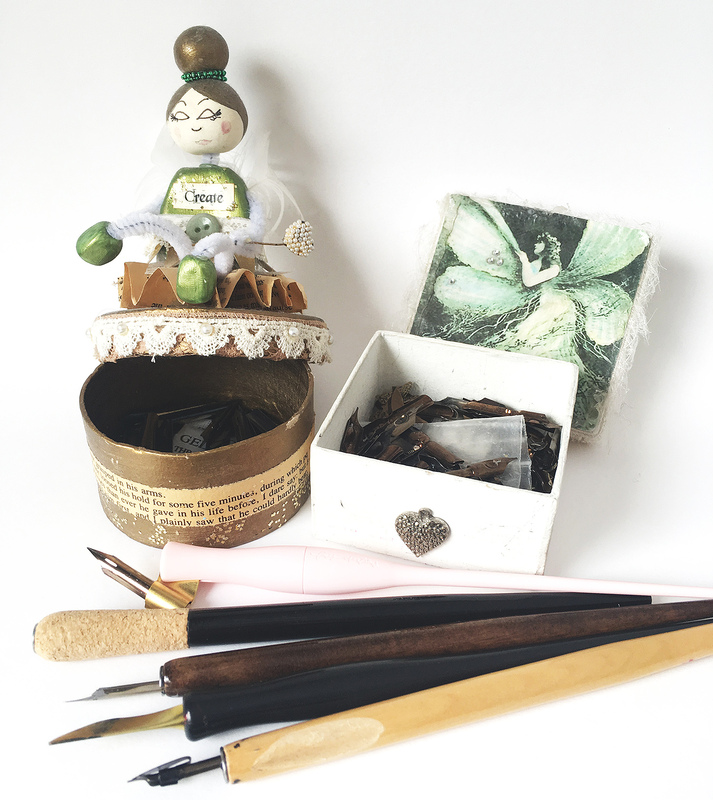 My pointed nibs go in the little wooden box if they’re used – and there’s always silica gel in there to keep them dry. Blimey. I am completely baffled. I followed the links and got even more baffled!! Who dunks their nibs in a water jar???!! Who would do that???!!! I’ve never had a rusty nib, and I am also very lazy… I just leave them in the holder for the duration of their lifespan. I guess I can do this because I use cheap plastic holders, and I never use holders with metal ferules. I have about 20+ holders. This is all I do and all my nibs last for over a month. They start out as ‘best’ nibs for proper work and then as they wear they get relegated to practice. 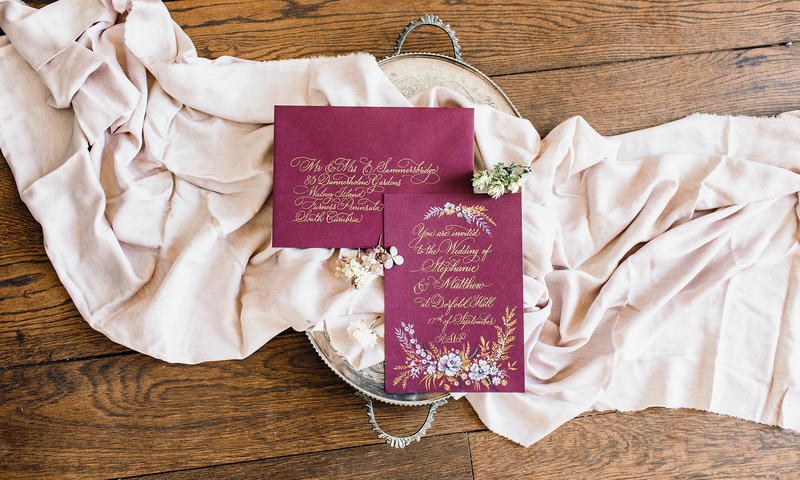 Next PostNext Thank you – our October calligraphy workshop was a lovely success!